It was a great learning experience at DuPont Nutrition & Health bloggers meet on probiotics, organized at Chancery Pavilion, Bangalore. We got to know about the various benefits of probiotics and the ways in which we can include it in our daily diet. I knew quite a bit about probiotics, but the exclusive and in-depth information provided at DuPont bloggers meet was far more updated, relevant and useful. 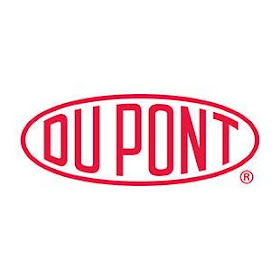 DuPont Nutrition & Health is a part of DowDuPont Specialty Products Division, world's leading player in food & beverage, dietary supplements and pharma excipients. The company offers a wide variety of probiotics dietary supplements and food products enriched with probiotics. These are packaged under the brand name Howaru. DuPont has global operations and its revenue in 2017 was $4.7 billion. The bloggers meet started with a welcome address by Reena Chaudhary – Communication Specialist, South Asia, DuPont Nutrition & Health. Reena informed us about the primary mission of the bloggers meet, which was to spread awareness about the health benefits of probiotics. Next, an introduction session on probiotics was conducted by Prateek Nag – Regional Product Manager, DuPont Nutrition & Health. Some things we already knew such as probiotics are the 'good' or 'friendly' bacteria in our gut that aid in digestion and breaking down food into nutrients. We learned that our digestive tract has millions of these friendly bacteria that are vital for good health and wellbeing. Prateek informed us that use of probiotics is not limited to treating diarrhea, constipation, abdominal pain and other such problems. Probiotics has now entered new territories such as preventing cold & flue, protecting us from allergic reactions and improving vaginal health. Probiotics is now being added to everyday food items such as curd, cornflakes, fruit juice, etc. The next session on science and benefits of probiotics was conducted by Dr. Anders Henriksson, Principal Application Specialist, DuPont Nutrition & Health. Dr. Anders told us that probiotics focuses more on prevention, as it can help prevent various health issues. We dived deeper in the next session conducted by Dr. Priyanka Rohatgi, Chief Clinical Nutritionist and HOD Dept. of Nutrition & Diabetes. We were informed about types of probiotics, importance of gut health, immune system, and probiotics in medicine and food. Probiotics are already being used as medicine during treatment for ailments such as diarrhea, Inflammatory Bowel Disease (IBD), etc. Probiotics are also prescribed when a patient is taking a heavy dose of antibiotics. Probiotics can also be consumed through food items such as yogurt, buttermilk, kefir, juice, ice-cream, chocolate, etc. Dr. Priyanka said that modern lifestyles pose a challenge in maintaining balance of gut microbiome, which is why supplementation with probiotics enriched foods has become a necessity. The Q&A session was next, where bloggers had their queries answered by DuPont expert team. We were informed that DuPont's probiotics products are FSSAI approved and can be taken on a daily basis. There is no risk of overdose, as excess, if any, is simply excreted out of the system. We learned about Bifidobacterial, which is helpful for gastric problems. Probiotics is safe and beneficial for kids as well and it can also help with mental health issues. he final session was conducted by Mr. Kiran Punjabi, Sales Manager Dietary Supplement, South Asia. Kiran informed us about the various probiotics products available in the market and provided us a summary of the entire session. DuPont Nutrition & Health bloggers meet on probiotics turned out to be immensely beneficial, as it provided a natural and easy way to improve our health and wellbeing. We learned about the various benefits of probiotics such as weight management, immunity boost, improved gut health, women's health, etc. Probiotics are suitable for all age groups, including everyone from pre-natal to kids, adults and ageing population. Probiotics can be used both as prevention and treatment and they can be consumed as dietary supplements or through probiotics-enriched foods. With so much to gain, I would definitely include probiotics in my diet and would recommend our readers also to give it a try.